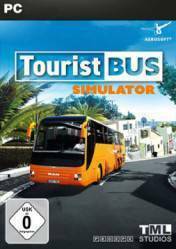 Attention: This product is a Steam key of the Tourist Bus Simulator (although it may also be available in other versions such as the Steam Gift), depending on which store you buy. Each format has a specific form of activation and may have a regional block, so we recommend reading the specifications in each store. Don't forget that from Gocdkeys you can buy the best prices for this and many other games in online stores. We are in the Canary Islands, specifically in Fuerteventura, and our main mission will be to create our own tour bus company. The game offers a complete system of economy, in which we will be able to mount from zero our own company of buses in the popular tourist island. Among our main tasks in the administration of the business, we will have to schedule routes, make transfers from the airport to customers' hotels, make tourist routes, ... In addition, we will also have to manage and administer our fleet, including the care and maintenance of vehicles, as well as hiring drivers and employees. The whole island has been recreated from scratch and with all the luxury of details, so it is practically identical to reality. This game is pretty decent. It is an overall accurate simulator, with nice graphics and it has a very powerful engine that it uses. I personally have the game, but i am trying to get it for my friend, who doesn't have any money to buy it.